then repeating that until you have a result. How does the pressure of your tires affect your gas mileage? What is the average lifespan of a tire? How does getting your tires rotated affect the wear? What color of a car holds the most heat inside? 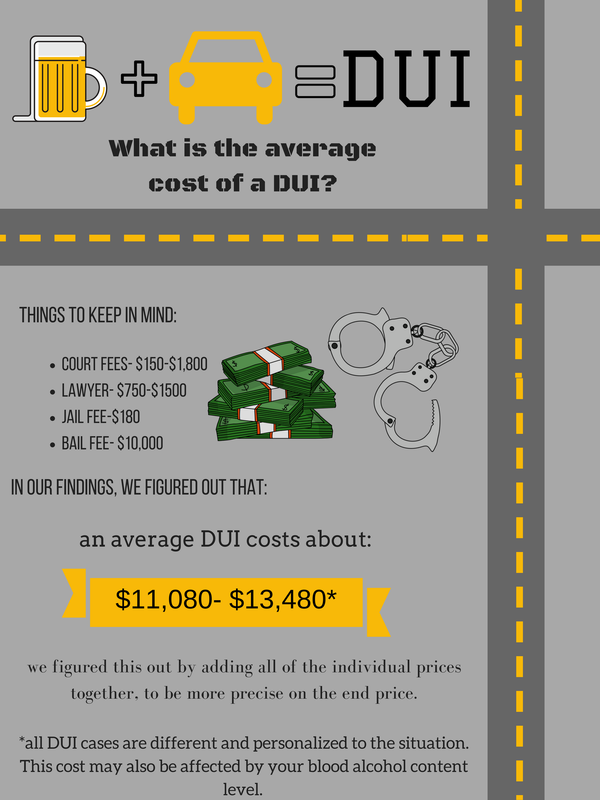 But the question that I ended up answering was, how much does an average DUI cost? After we researched information we would need to answer the question we solved it. Once we had a final answer we made a poster about the process we went through and how we solved it.